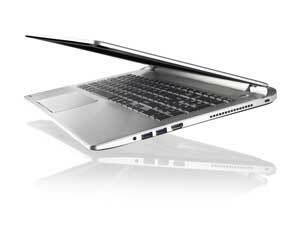 Toshiba Satellite S50 15.6" Business Laptop Core i5-4210U 12GB RAM, 128 GB SSD. A perfect blend of beauty and power, this superb laptop gives you an experience you wish for. A perfect device for both increasing productivity and improving multimedia experience. So take maximum out of your computing with Toshiba Satellite S50. 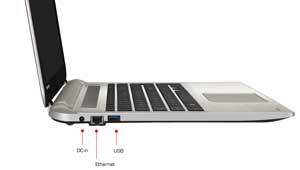 This ultra-thin laptop is only 19.9 mm thin which makes it easy to carry around. Its slim body is not just easy to carry but also makes you look smart while working. The silver brushed metal finish gives it an elegant and classy look whereas its backlit tiled keyboard further adds in the beauty. 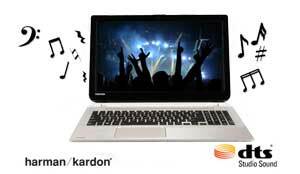 Enjoy your media at its peak with Toshiba Satellite S50 which combines Harman Kardon Speakers with DTS Sound enhancement. 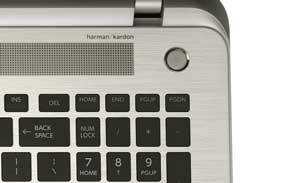 The Harmon Kardon speakers deliver high quality stereo to create a life like audio experience. DTS Sound audio makes sure your favourite sound tracks are enjoyed at their best. It delivers high frequency detail so you get premium audio through built in speakers or headphones. Satellite S50s 15.6" display delivers immersive visuals and razor sharp text. To give you stunning visual quality every time it is equipped with Toshiba's built-in Resolution+ technology which improves picture and video quality in real time. 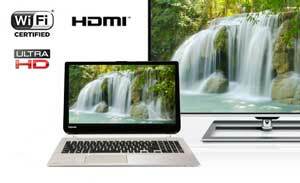 Ultra HD 4K content stored on your laptop can be watched on Ultra HD TV by connecting it via HDMI port. HDMI cable sends audio and video signals through one wire which means no clutter of wires. Windows 8.1 is designed to increase your productivity. It allows you to keep all your important things on the start screen so they can be accessed instantly so more time is spend in working and less time in searching. Plus the fluid design of Windows 8.1 gives smooth multitasking experience. To give you top of the line performance it is equipped with multi-core processor to boost up everything from multitasking to media. Enjoy even better and smoother performance with integrated or optional graphics. Having latest features and technologies it is capable of satisfying all kind of customers. 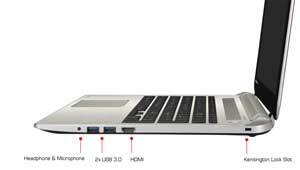 Featuring USB 3.0 port it makes data sharing much easier. USB 3.0 gives you ten times faster data transfer rate than USB 2.0 which means folders which took hours in transferring can now be transferred in minutes. Bluetooth 4.0 further makes sharing easier as it allows you to share files wirelessly between devices. Having Toshiba S50 minimizes the need of carrying extra chargers with you. It features Sleep N Charge USB port which means you can charge your mobile devices like smartphones and mp3 players even when the laptop is turned off.